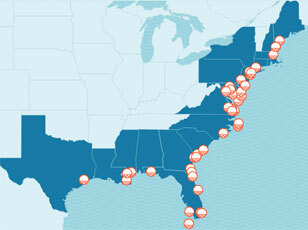 Tidal flooding will dramatically increase in many U.S. East and Gulf Coast locations. Today scores of coastal communities are seeing more frequent flooding during high tides. As sea level rises higher over the next 15 to 30 years, tidal flooding is expected to occur more often, cause more disruption, and even render some areas unusable — all within the time frame of a typical home mortgage. An analysis of 52 tide gauges in communities stretching from Portland, Maine to Freeport, Texas shows that most of these communities will experience a steep increase in the number and severity of tidal flooding events over the coming decades, with significant implications for property, infrastructure, and daily life in affected areas. Given the substantial and nearly ubiquitous rise in the frequency of floods at these 52 locations, many other communities along the East and Gulf Coasts will need to brace for similar changes. Twice each month (during new and full moons), the combined gravitational pull of the sun and moon creates tides that rise slightly higher than normal. In some coastal communities, these extreme tides, or spring tides, flood low-lying areas. In many locations, these floods are happening much more often than just 40 years ago. 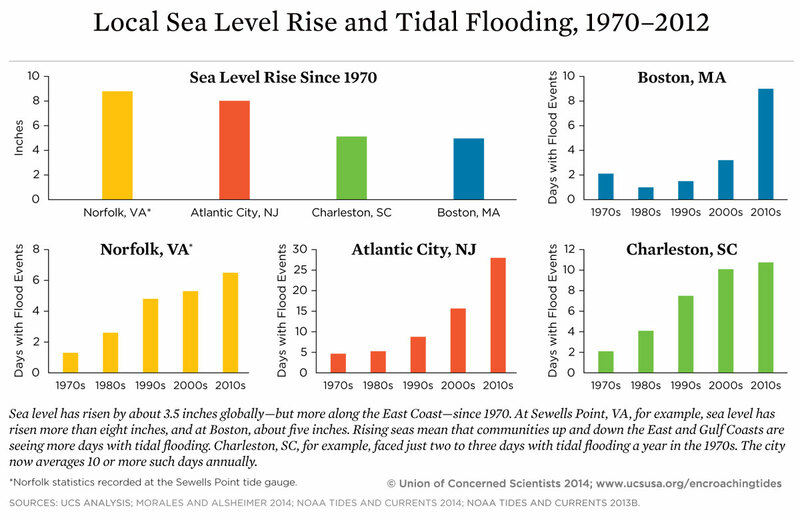 In several communities, tidal flooding has quadrupled in frequency since 1970. Today most tidal flooding events are minor, disrupting local transportation and daily life for brief periods of time. More extensive moderate flooding does occur in some locations from tides alone, but infrequently. 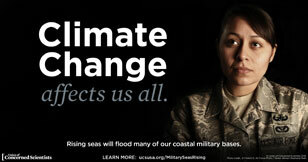 Strong winds, rainfall, and storms that coincide with high tides can result in even more extensive and damaging floods. 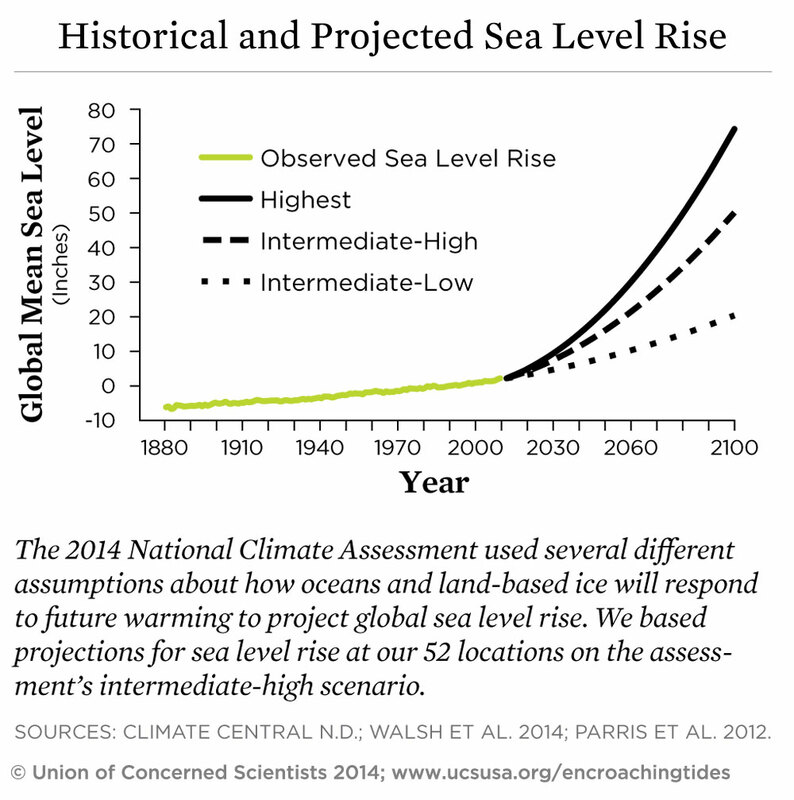 Sea level rise, driven primarily by global warming, is the main cause of observed increases in tidal flooding. While global sea level rose roughly eight inches from 1880 to 2009, much higher rates have occurred along parts of the East Coast, including New York City (more than 17 inches since 1856), Baltimore (13 inches since 1902), and Boston (nearly 10 inches since 1921). By 2030, more than half of the 52 communities studied are projected to experience, on average, at least 24 tidal floods per year in exposed areas, assuming moderate sea level rise projections. Twenty of these communities could see a tripling or more in tidal flooding events. The mid-Atlantic coast is expected to see some of the greatest increases in flood frequency. Places such as Annapolis, Maryland and Washington, DC can expect more than 150 tidal floods a year, and several locations in New Jersey could see 80 tidal floods or more. As sea level rises, many tidal flooding events will shift from being minor to more extensive, with accompanying increases in disruptions and damage. By 2045, many coastal communities are expected to see roughly one foot of sea level rise. The resulting increases in tidal flooding will be substantial and nearly universal in the 52 communities analyzed. One-third of the 52 locations would face tidal flooding more than 180 times per year. Nine locations, including Atlantic City and Cape May, New Jersey could see tidal flooding 240 times or more per year. A growing proportion of these floods would be extensive, and as floods reach farther into communities, they would also last longer. Flood-prone areas in five of the mid-Atlantic communities studied could be inundated more than 10 percent of the time. As the reach of the tides expands, communities now largely unfamiliar with tidal flood conditions will be forced to grapple with chronic flooding -- a new normal. Many of the studied locations that today see fewer than five tidal floods per year could see a 10-fold increase in the number of floods annually by 2045. Increased tidal flooding is essentially guaranteed. Changes already set in motion by our past and present heat-trapping emissions will largely drive the pace of sea level rise and flooding over the next several decades. Coastal communities must act with urgency to prepare for this rising threat — and there are many things we can do to help ensure enduring coastal communities. Municipalities, with state and federal help, should prioritize and incentivize flood-proofing of homes, neighborhoods, and key infrastructure; curtail development in areas subject to tidal flooding; consider the risks and benefits of adaptation measures such as sea walls and natural buffers; and develop long-term plans based on the best available science. The costs and challenges, however, are too great for municipalities to shoulder alone. A coordinated, well-funded federal response is also needed and should include both substantial investments in coastal resilience building, as well as action to deeply and swiftly reduce global warming pollution. This latter action may ultimately be the only reliable way to protect coastal communities over the long term – by slowing the pace of future sea level rise. There is a hard truth about adaptation, however. It has fundamental limits — whether physical, economic, or social — and it can only fend off the impacts of sea level rise to a point. As sea level rises higher, even our best protection efforts will not suffice in some areas in the face of rising tides, waves, and storm surges. If it reaches limits of coastal adaptation, a community will face the prospect of shifting back from heavily impacted areas. These limits will arrive sooner in those areas exposed to greater risks, those with more fragile ecosystems and limited natural buffers, and those that are less well-off economically. Leaders at all levels of government need to take seriously the risks facing people living along our coasts and the urgent need for action. We must prepare our communities for encroaching tides and other impacts of sea level rise even as we make a concerted effort to reduce the heat-trapping emissions that will determine the rate at which the ocean rises over the long term. 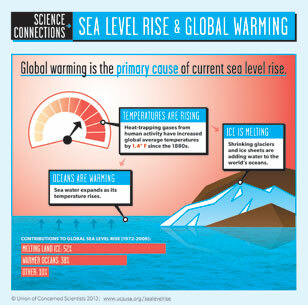 What Accounts for the Varying Rates of Sea Level Rise in Different Locations? INTERACTIVE MAP: Explore the hundreds of US coastal communities that will face chronic inundation and possible retreat as sea levels rise.